Boost your online success by creating an informative eBook that only you can write. Here’s some tips on how to write an eBook fast! What exactly is an eBook? Well, for starters, “e” stands for “electronic” so an eBook is an electronic book made available in a digital format that is easily readable on computers and electronic devices, including laptops, tablets, and smartphones. Electronic books are widely available to a diverse audience worldwide, making it possible to get your message in front of millions of people. The advantages of eBooks over their printed counterparts are affordability, easy accessibility, convenience, and the ability to bookmark pages and make annotations for future reference. Have I sold you on the reasons why you should consider writing an eBook? If it seems daunting, read on for some tips to make it easier. And by the way, here is an article explaining how to create an eBook using a WordPress plugin. The simple answer to this question is: WRITE WHAT YOU KNOW! Whether it’s a few chapters on how to stop smoking, the mechanics of owning a motorcycle, how to earn money online, or tips on flower arranging, the ideas really are endless. You can bank on it that someone out there in cyberspace wants to read about what you’ve learned. Write about your favorite hobby that you’ve had for years. Share what you’re passionate about. This passion for your subject will be conveyed in your writing, and your enthusiasm will be contagious. Make it interesting and include useful tips that are easy to implement. What are the popular trends at this point in time? Capitalize on these current trends The internet is a vast world, and you’ll be competing with other writers, so take care in choosing your subject. Make it meaningful. People are searching for value and meaning. Provide that for your readers, and you’ll be successful. 1. Write an outline of the crucial points you want to cover in your eBook. This will keep you focused and on track when writing the body of your book, making your writing more time effective. Under each key point, include all the subtopics that need to be covered. The great thing about having an outline is it will serve double duty as the Table of Contents when your book is finished. 2. Assure your book has visual appeal by adding headings, and subheadings using bold text. Eye-catching quotes in italics, and bullet points and lists are also important for appeal, and will draw your readers in, and make reading your information more enjoyable. 3. Design a great-looking cover page as this will be the first impression buyers will have of your book, and be sure and include a copyright. You can use Microsoft Power Point or other similar software to create your cover page. Or use Canva, which is my favorite design tool. See more on this below. 4. Convert your eBook into a PDF. PDF Converter 2018 is free. Once your document is in a PDF format, it will be emailed to you. 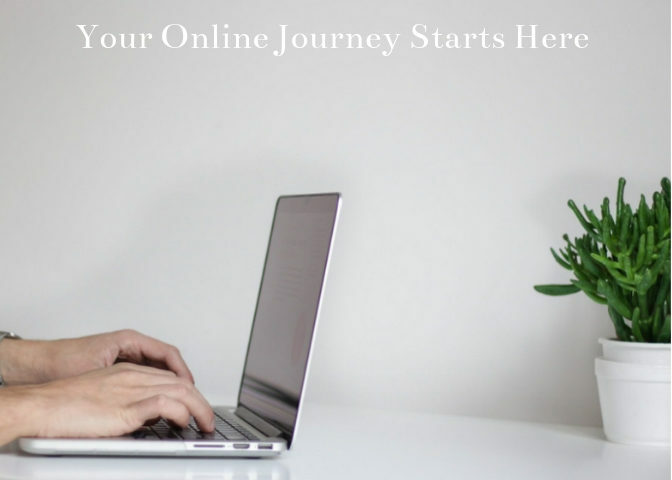 The next step is to upload it to E-Junkie, which is an inexpensive shopping cart service that has all the functionalities you’ll need to sell your ebook. It’s easy to set up and very user-friendly. You can create an online store in minutes, and a monthly subscription costs just a few dollars. You’ll be supplied with a code you can copy and paste directly onto your website or you can create an individual eBook page, which is simple to set up. View a demo on E-Junkie’s website to get a feel for how it works. Keep in mind that the design of your book is just as important as the content because it’s what will reel your readers in. Ebooks are a great way to share your passion with the world! Canva is an online design tool that makes creating a variety of applications fun and fast. Design flyers, logos, business cards, social media graphics, invitations, and posters. It’s so versatile, and is awesome for both professional designers, and those with no design skills. If you want to learn more about it, you can read my previous post on Canva here. Canva works great for eBooks under thirty pages. It can be used for longer books, but involves a few more steps. It’s also not the right platform for making Kindle eBooks. Aside from those exceptions, it’s a great tool for creating digital books. The tutorial below will walk you through the steps on how to make an eBook using Canva. Today the world is, literally, right at our fingertips, with an audience of 4 billion people to market to. Tap into this accessible online market by creating an ebook that lets you share your valuable knowledge and experience. Follow the steps above to make your eBook a possibility rather than a mere pipe dream. Are you considering writing an eBook? Have you written an eBook? Please share your experiences below so we can all benefit! I’m not sure if there is a minimum word count for an ebook. I know there are some short ones out there of around 25 pages. Thanks for commenting. Very practical post. Every day another book is published and people want the ebook because it is cheaper, doesn’t take up space, and itis travel-friendly. I have wondered myself how to do it. I have a book or two that are unpublished. Seems simple after reading this. Thank you for sharing your knowledge. Thank you Robert. Go ahead and publish an ebook. It’s easier than you’d think. Hi Holly. This seems really simple and I’d love to write an ebook. Can you then sell them on Kindle for example as I’ve heard that the formatting can be problematic for that platform. I’d love to get your take on that. I love writing for my own blog so I’ll have to branch out to an ebook soon I think and will bookmark your site. Thanks. Thank you for commenting. You might find this article helpful – http://www.publishyourownebooks.com/writing-ebooks-and-the-kindle/. I’ve never written an eBook on Kindle, but it doesn’t sound too hard!